Refraction Point is the creator of LimaCharlie: a cross-platform Endpoint Detection & Response (EDR) agent that runs in a multi-region cloud. LimaCharlie is a creation of Refraction Point: a group of security experts and computer scientists on a mission to change the way that information security technology is delivered. LimaCharlie is a Security Platform as a Service (SPaaS) designed to bolster the capability of information security providers. The core product of LimaCharlie is an endpoint detection and response (EDR) capability. The LimaCharlie EDR capability was built for scale, is highly extensible and allows users to create their own detection and response rules, as well as providing a whole host of pre-made solutions. The LimaCharlie EDR platform also provides one year of telemetry storage along with expert-driven algorithms and artificial intelligence to automate a variety of tasks normally performed by human analysts. 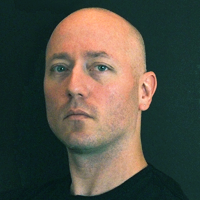 As part of the Canadian Intelligence apparatus, Maxime worked in positions ranging from development of cyber defence technologies through Counter Computer Network Exploitation and Counter Intelligence. Maxime led the creation of an advanced cyber security program for the Canadian government and received several Director's awards for his service. After leaving the government, Maxime provided direct help to private and public organizations in matters of cyber defence and spent some time working with CrowdStrike. For the past few years Maxime has also been providing analysis and guidance to major Canadian media organizations. Maxime left Google - where he was a founding member of Chronicle Security - in 2018 to found Refraction Point. 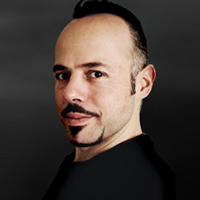 Gio is a well known cyber-security and cyber-resilience expert within the Italian Intelligence community where he has built various sensitive technologies. Gio led the Italian National Security Technology Center as principal researcher cooperating actively with Intelligence and Governmental training institutions as well as the European NATO Cyber Security Center of Excellence. Recruited at BAE Systems Group as Security Architect, he then went on to lead the Threat Intelligence Team as well as mentoring the UK MSS Cybersecurity Task Force. Christopher is a computer scientist and veteran of the early-stage startup environment. He has been instrumental in the growth of companies from the very earliest stages to north of 250K customers and has successfully executed marketing campaigns that have pulled in millions of eyeballs. Along with his entrepreneurial work he has completed high profile software projects for the Olympics, Canadian Broadcasting Corporation, National Film Board of Canada and many more. Passionate about the role of philanthropy in the technology sector, he is also the founder of startups-care.com.